Visited Bradford University UK in 1996 (for three months) and 2003 (one month) for higher studies for Environmental and Disaster management studies. Visited Germany in 1996 (six weeks) and 2002 (three weeks) for trainers training for Environmental and Disaster management training. Visited Japan in 2005 (one week) to participate as panellists in UN’s “World Conference on Disaster Reduction” in Kobe from India as one of the Indian members with German delegation. Participated and presented a paper in the International Disaster Risk Conference, Davos (25-29 August 2008), Switzerland. Organised a capacity development programme in Germany as moderator for various States and National agencies from 20 June to 3 July 2010. Total Service Experience: More About 30 years experience in the area of Environment and disaster management. Working at regional and national level and coordinating various states. Provided technical leadership in making on-site and off-site emergency management plans to various hazardous industries and state Govts of the India. Provided leadership in completing Risk assessment, safety audits for various industries. Chief editor of www.hrdp-idrm.in which has been developed jointly by InWEnt-gtz-DMI under Indo-German bilateral programme. 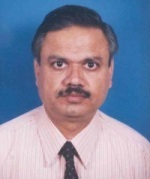 Member Secretary, National Action Plan (NAP) of Chemical/Industrial Disaster Management. NAP is prepared jointly by NDMA and MOEF. Member of working group on Disaster Management of Planning Commission of 11th and 12th Five Year Plan. § German Technical Co-operation (gtz) and InWEnt, Germany.